The PGDM students of SCMS recently went on their Out Bound Training (OBT) programme and it turned out to be an experience of a lifetime for them. The three-day training session demonstrate the institute's emphasis on giving its students practical training throughout their term. A number of activities that were carefully conducted for the students' benefit, they experienced a lot about management concepts, team spirit, crisis management, customer and public relationships, facing challenges and communication skills in the day to day life. World is fast becoming a global village. The conventional boundaries of the State are fast disappearing. So are the artificial restrictions imposed by the States in the false hope of protecting sectarian interests? In such a borderless world, managers should equip themselves physically, mentally and professionally to face the challenges wherever they are, and whenever they are, and wherever such challenges come from. Modern professional education should aim to provide a system of teaching and training that will help individual development with a global perspective. 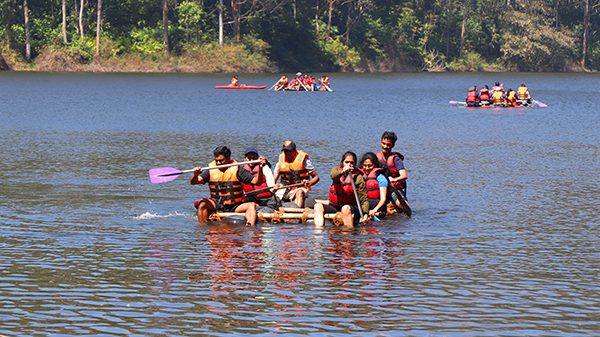 For the purpose of team building and leadership skills, students are exposed to an outbound experiential training program. 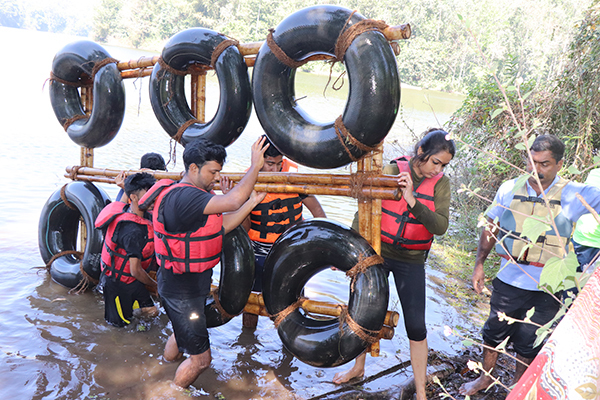 An outbound experiential training program for faculty and students, involving camping, adventure, games and learning was organized in Suryanelli, Munnar, a hill station in Kerala, in collaboration with Kalypso Adventures. A variety of team games and competitive activities interspersed with discussions and deliberations on team dynamics and processes marked the two days program. The events marked a fun filled exploration of various aspects of planning, collaboration, competition, creativity, communication, strategy and leadership in teams. To increase the level of confidence and to overcome the fear of heights. There is a game named high ropes. Motivation given by the teams to complete the task. The other activities are - Leaders role in conveying the goal properly, team work and communication, decision making. ability to follow orders properly and utilisation of the resources effectively. Being a good listene, team work, leadership, communicating properly the goal and objectives, micro planning and integrity are the other objectives of the training programme. 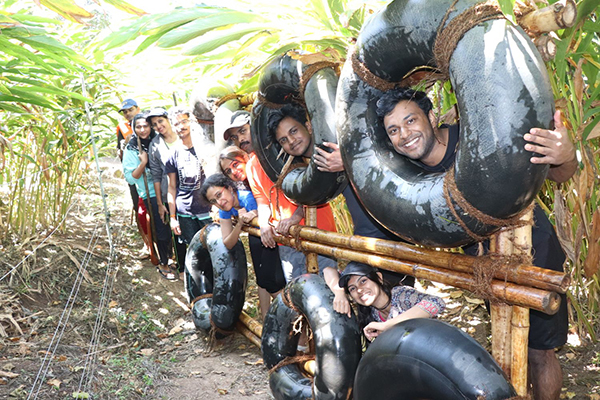 PGDM students of SCMS COCHIN School of Business students of SCMS School of Technology and Management are participated in the annual year adventure trip programme OBT.